Jean Makoun will be given a fresh opportunity to kick-start his Aston Villa career when the unsettled midfielder returns from his year-long sabbatical next month. Makoun will return from his 12-month loan spell at Olympiakos with a Greek championship winners medal when he reports back to training at Bodymoor Heath on July 5. Paul Lambert is prepared to offer a new start the Cameroon international who was passed over by Alex McLeish last summer in favour of ill-fated loanee Jermaine Jenas. Makoun gave glimpses of his ability after Gerard Houllier signed him from Lyon in January 2011, but he cut an isolated figure following the French manager’s departure. Without Houllier, fitness coach Robert Duverne and team-mate Robert Pires, French-speaking Makoun found it hard to integrate, although he did start a course of English lessons. His encouraging start was undermined by a red card at Blackpool in 2011-12 while last season his only contribution was a less-than-spectacular Carling Cup display against Hereford. However, the 29-year-old ball-player still has two years remaining on his current contract and Villa are prepared to see whether he can flourish under the management of Lambert. Former Villa midfielder favourite Ian Taylor saw plenty of potential in Makoun’s eight league and cup games for the club and welcomes the decision to give him a fresh chance. “Sometimes it can be difficult for players to settle and that seems to be the case with Jean,” said Taylor. “Villa need to make sure he is happy off the pitch as well as on it if we are to see what he is capable of in a Villa shirt. “I watched him a few times the season before last and you can see what his qualities are. His calmness on the ball and his passing and I think he could be effective alongside the type of dominant midfielder I have talked about Villa needing. “He’s played in the Champions League so he can’t have become a bad player overnight. Whether or not Makoun figures prominently in Lambert’s plans, Taylor still believes the claret and blues require a midfield general to dominate matches in the centre of the park. “It’s definitely an area where we need to strengthen because we really could do with someone in there who can influence games,” added Taylor. “I think we missed Stiliyan Petrov in there at the end of the season because he is an experienced guy who has the stature to play in there. “We really haven’t had anyone with the presence in there to make the team tick. 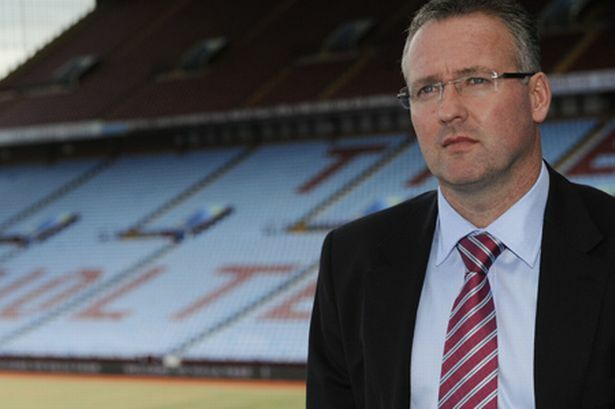 “It will be hard to get a central midfielder who is experienced enough, good enough and available for the price that Villa will be willing to pay – there aren’t that many of them about. Ian Taylor was speaking to promote his new iT7 range of premium Bluetooth® headphones and music products, in association with Cannock-based Bluechipworld.